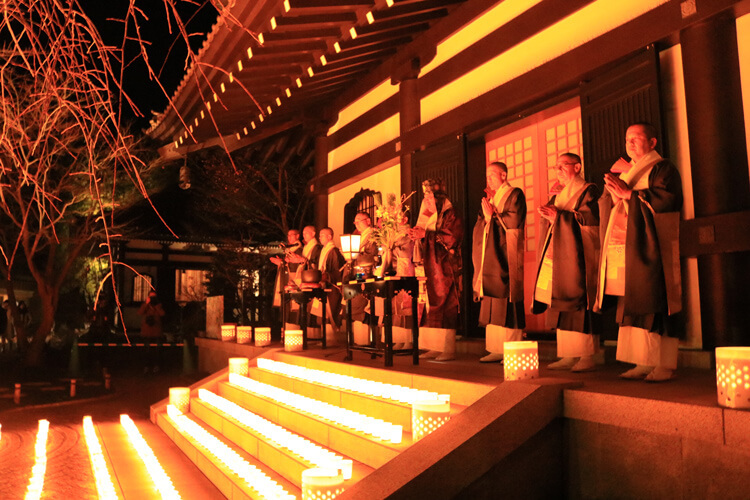 Visitors are able to enter the temple from 11 p.m. on December 31st. 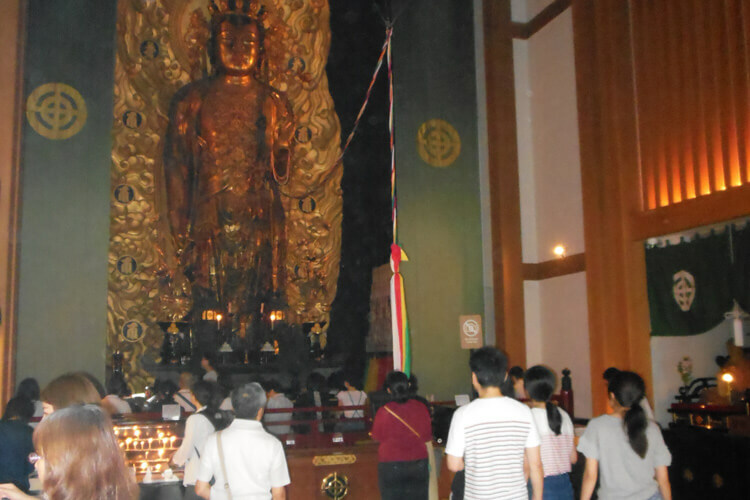 A Buddhist service is held at midnight in the Kannon-do hall. It offers a prayer for happiness of everyone as well as peace and an abundant harvest of the nation. 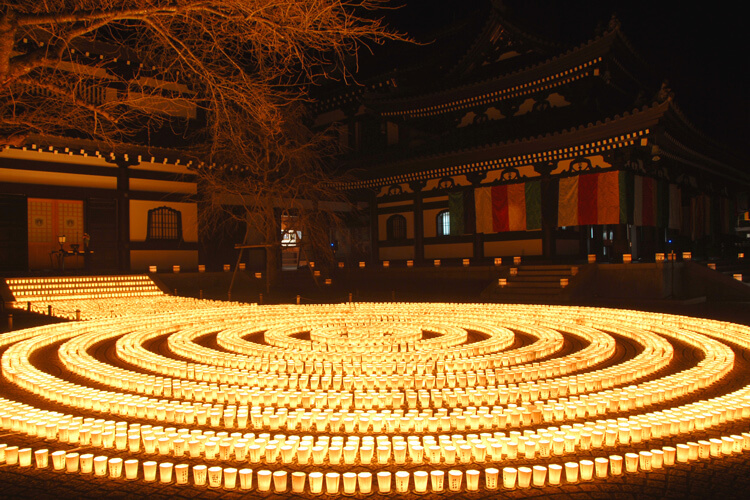 About 6000 Manto candles are lit and lined in the Sakura square, making a delightful atmosphere to welcome the new year. 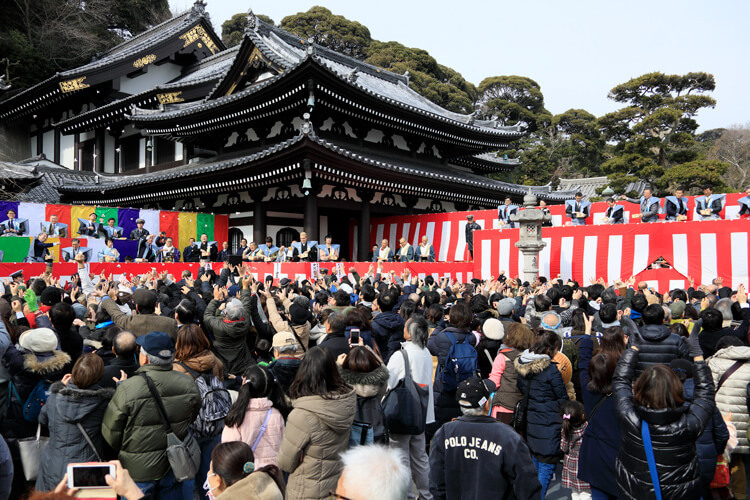 Setsubun-e starts at noon on the upper ground of the temple. 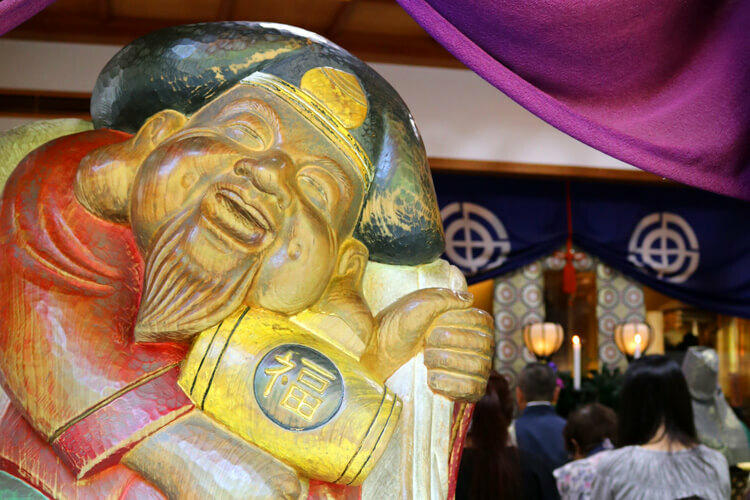 This event is held to wish for everyone’s good health throughout the year. 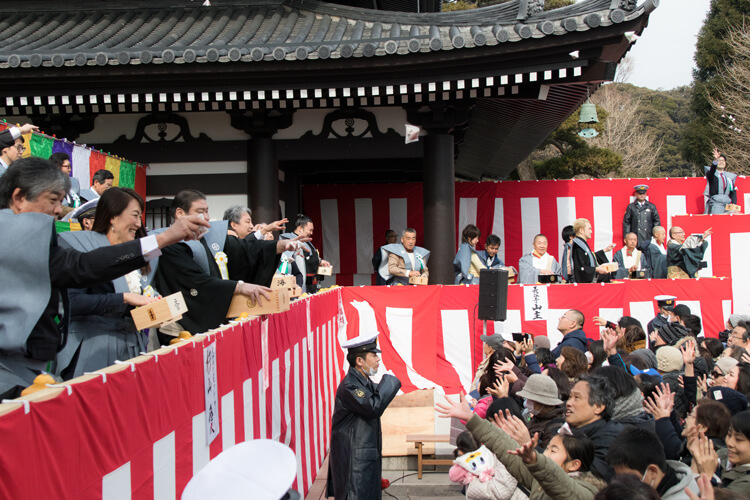 Sumo wrestlers and celebrities are invited on a stage and throw beans to the participants. Since the old time, beans have been believed to have the power to dispel evil spirits. 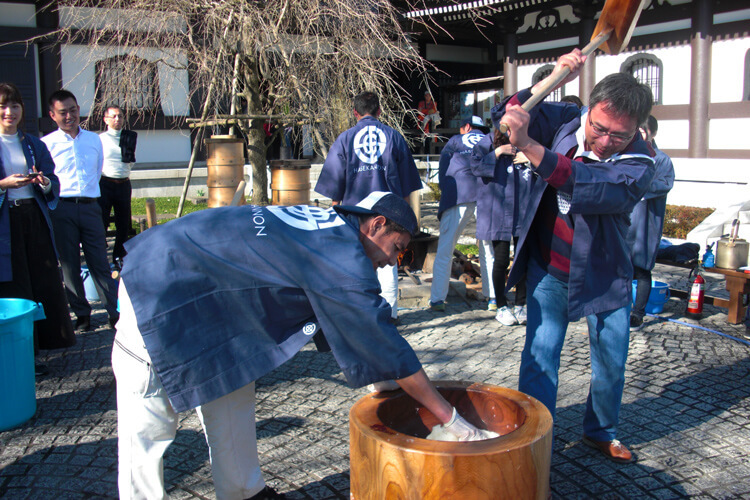 Therefore the bean-throwing is believed to ward off evil and protect the body against illness. 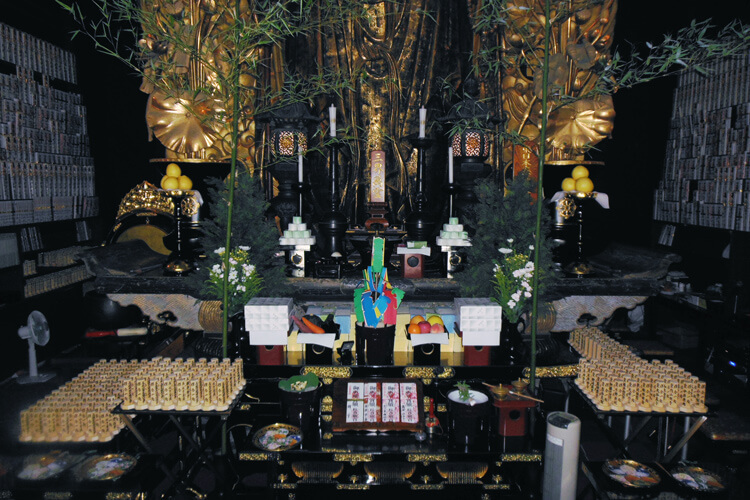 A ritual service is held to console the spirits and souls of ancestors that once made a connection to the temple. 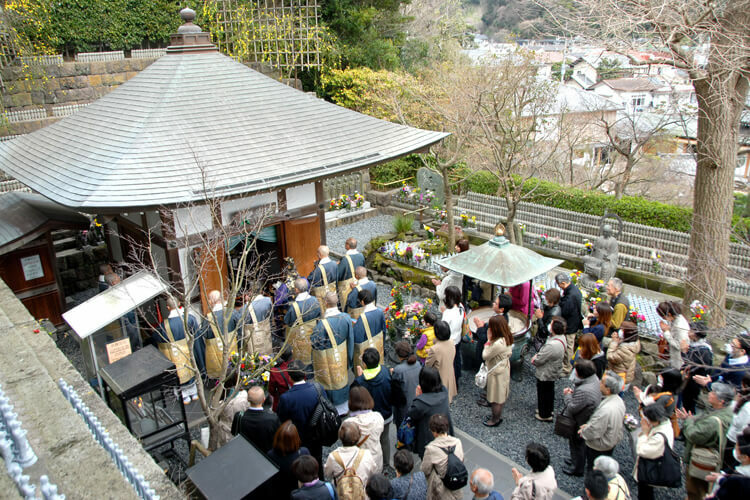 As a custom in Japan, people attend Buddhist services and visit their ancestor’s grave during the week around these dates. 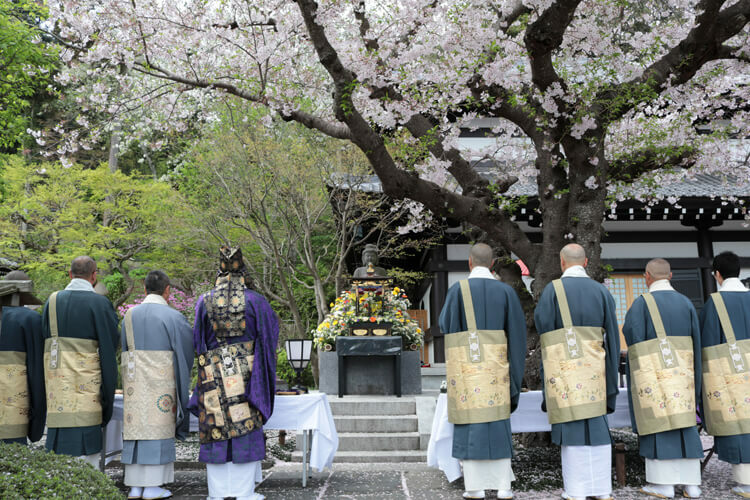 A Buddhist service starting at 11 a.m. is held in front of the Shaka-nyorai statue under the cherry blossom trees on the upper ground. 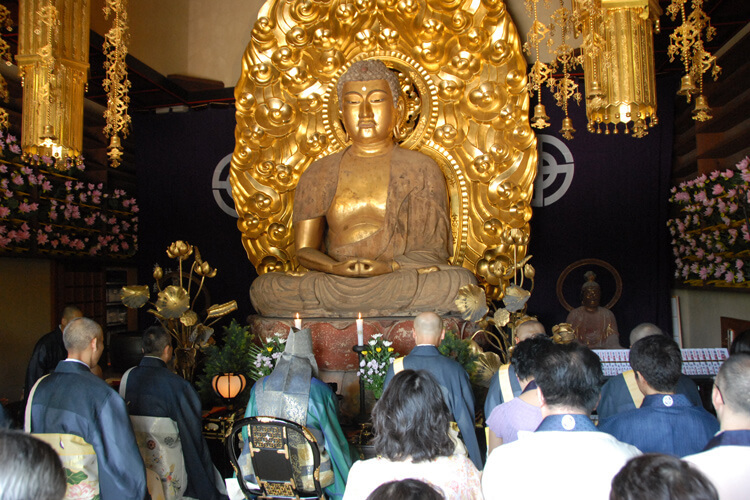 This is to celebrate the birthday of Shaka, the founder of Buddhism. 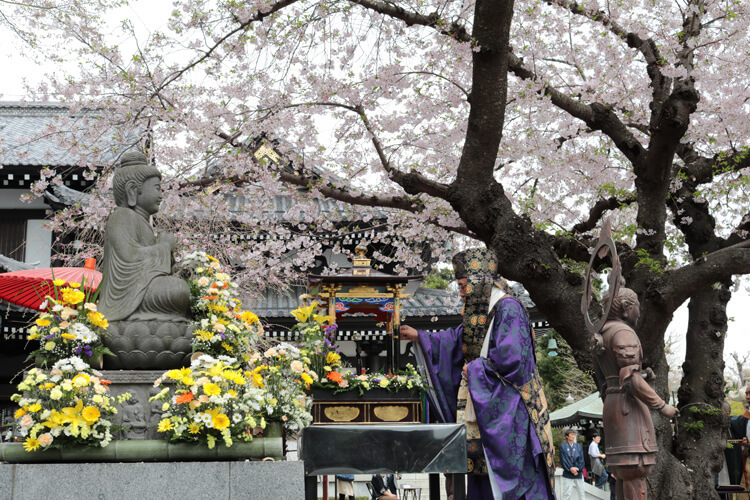 The statue of Shaka is decorated with flowers and cups of hydrangea tea are served to the visitors for celebration. 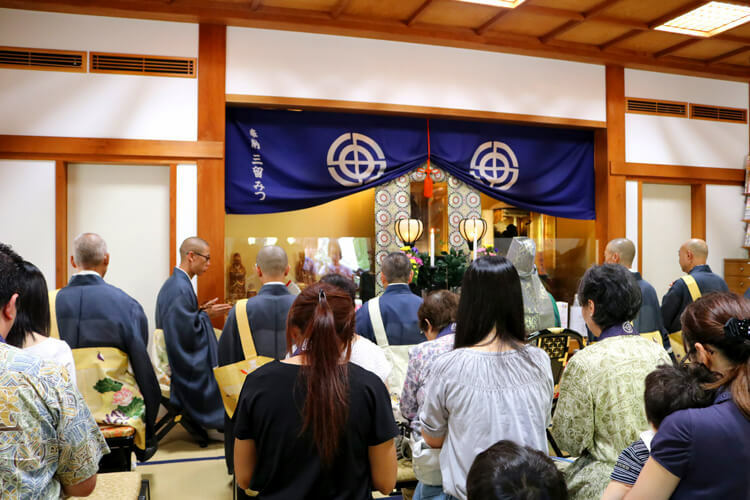 A Buddhist service starting 11 a.m. is held for visitors of the Benten-do hall, to give prayers for success in life and business, happiness and prosperity. 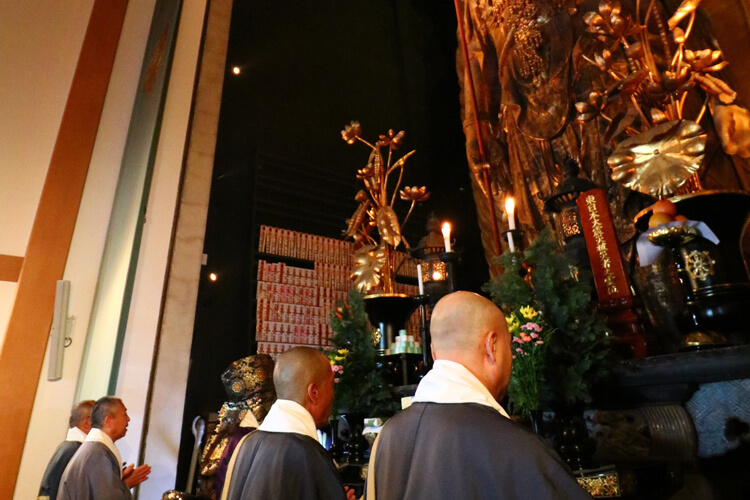 A Buddhist service starting at 11 a.m. at the Amida-do hall is held to pray for dispelling misfortunes. 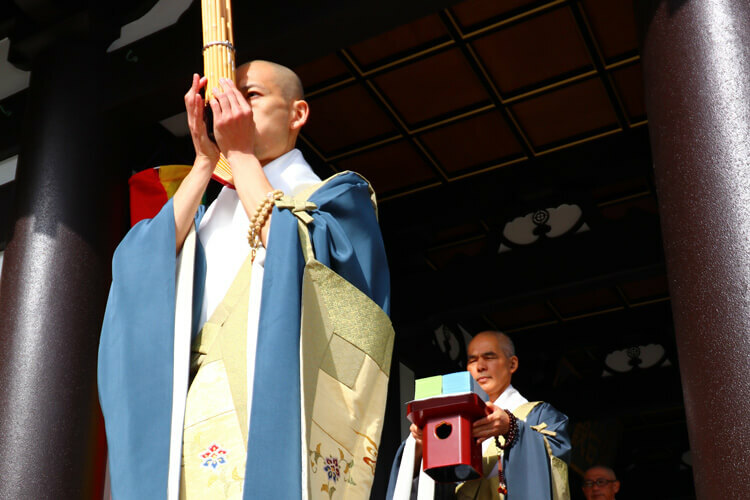 A large mokugyo (wood block) will be operated at this service. It is measured 105 cm in width, is the largest mokugyo in Japan carved from a single tree. 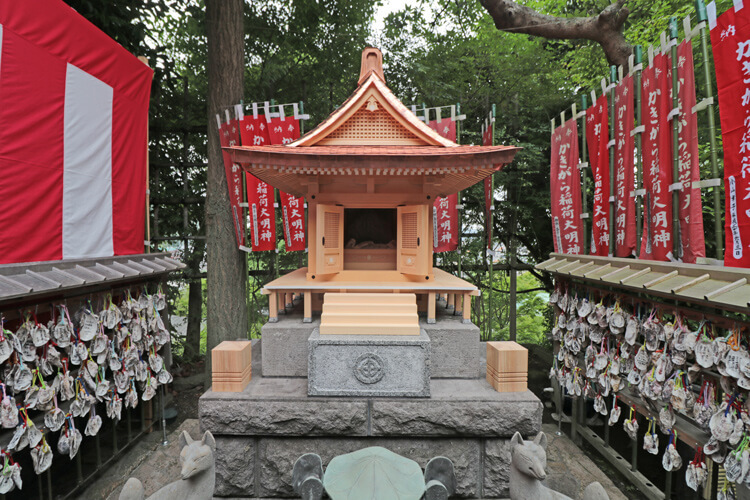 At the Inari-sha on the upper ground, a service is held in appreciation of Kakigara (oyster shells) which guided the Kannon statue to this place. Prayers are given for dispelling misfortunes and receiving favor of the deity that the visitors will be led to a correct way of life. 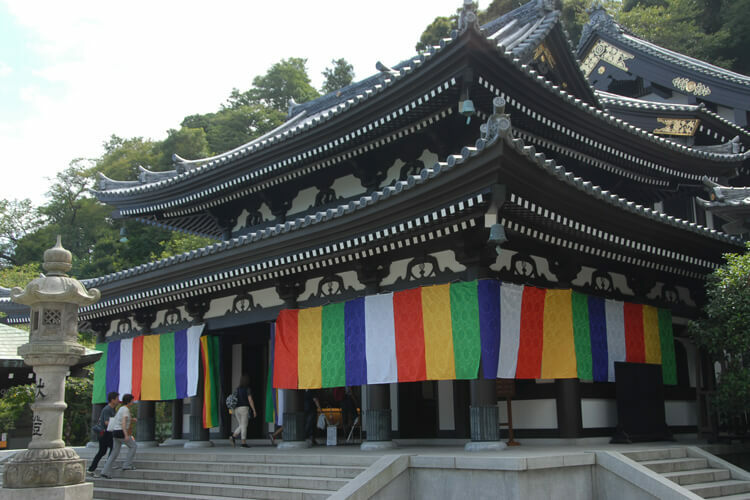 Kannon segaki-e is a Buddhist service to console spirits and ancestors of visitors. It starts at 11 a.m. in the Kannon-do hall. It is thought that visiting a temple on this day makes visitors receive enormous virtue which is the same as visiting a temple for 46000 days. 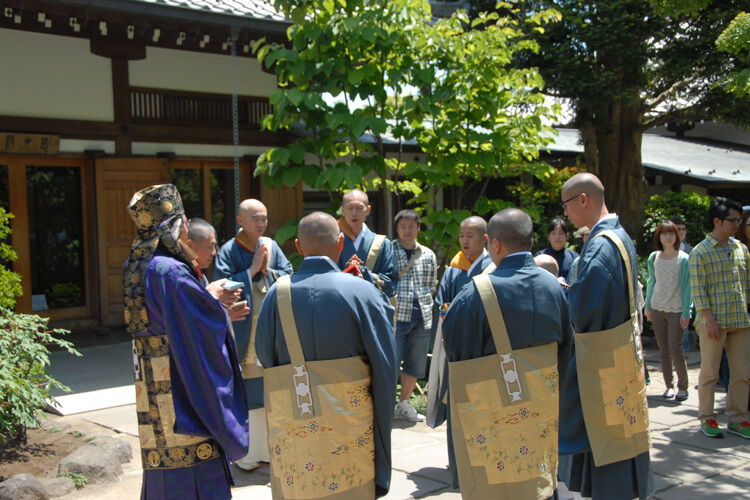 Omiefuda (charms in the form of a piece of paper with Kannon’s figure drawn) are given to the visitors (limited numbers). 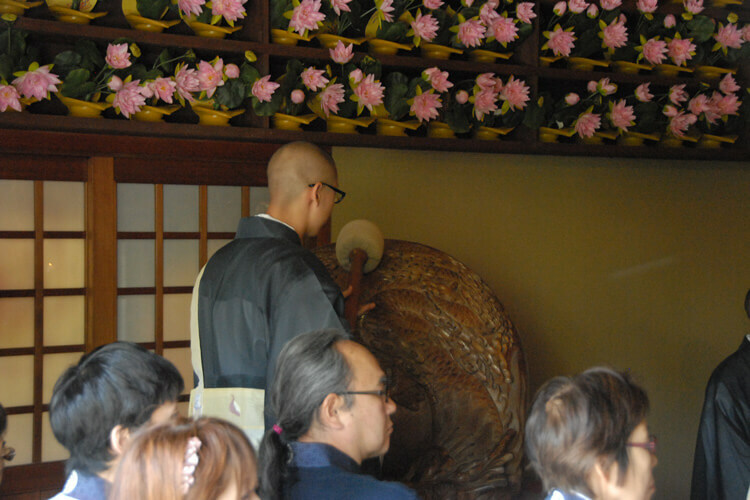 A Buddhist service is held to pray for a good harvest and success in business for visitors. 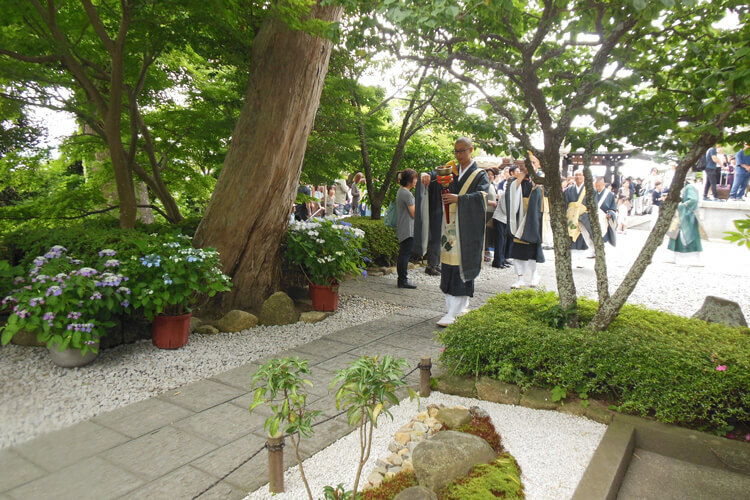 It starts at 11 a.m. at the Daikokudo-hall. 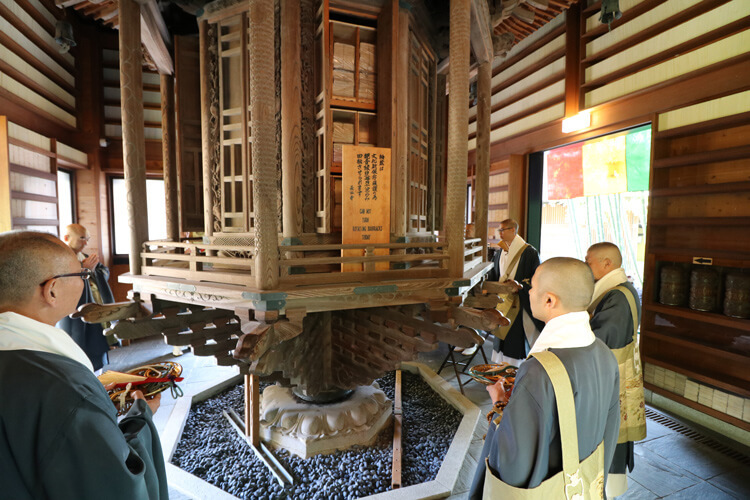 Shakyo or handwritten sutras that visitors offered during the year will be purified with a prayer at this service, starting at 11 a.m. in the Kannon-do hall. After this they will be stored in the Kyozo for a very long time. 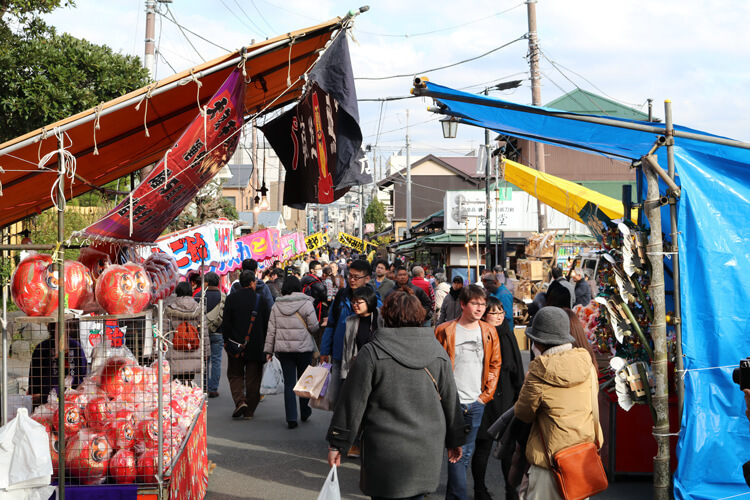 This is the last day of Kannon’s fair of the year. 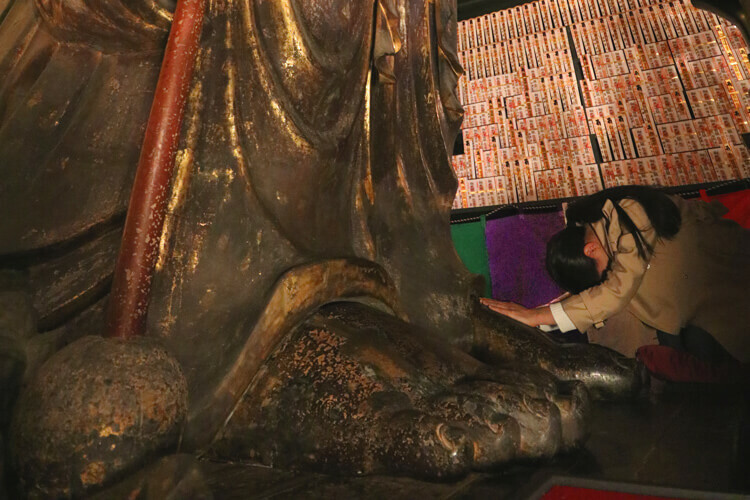 It is a once-a-year special day where people are able to visit Kannon to touch its foot. Stalls selling snacks and good fortune charms for the New Year open alongside the approach to the temple. 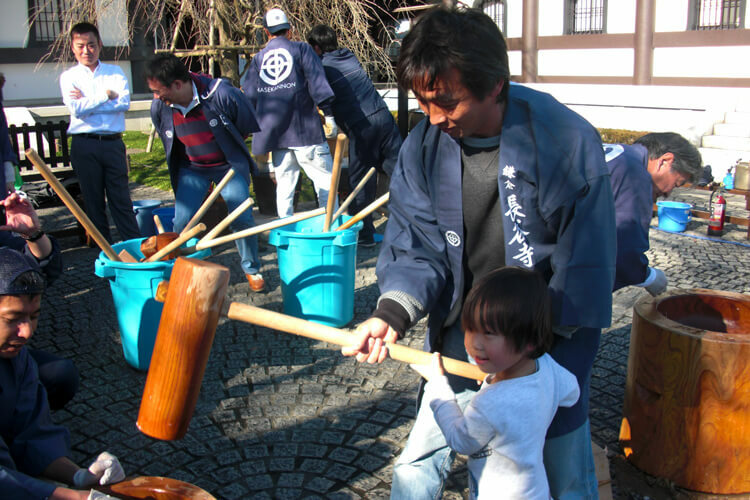 An event of rice cake-ponding is held on the upper ground to welcome the coming new year. Rice cake is considered to be a festive food since the old time in Japan and is used to make offerings to divinities. 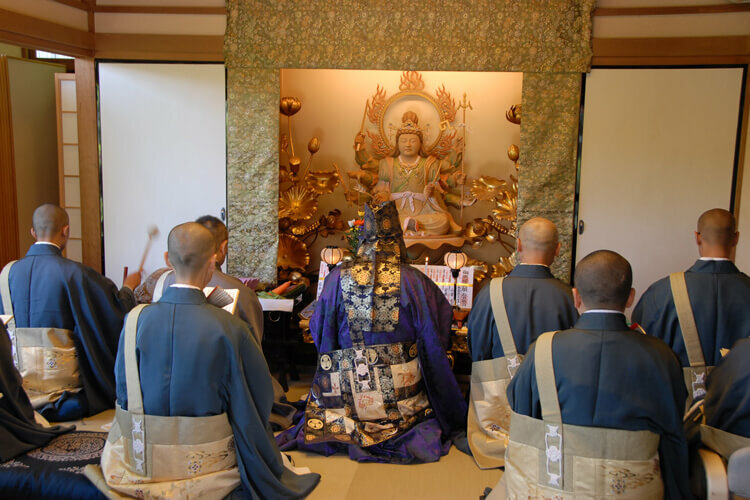 The rice cake made at this event will be offered to Kannon to protect us continuously in the coming year as well. Copyright© HASEDERA. All Right Reserved.